Wanna make everything OK? Push this button. 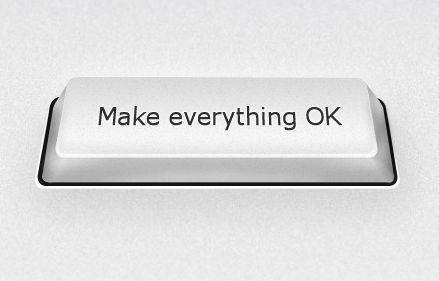 Here’s the secret to making everything OK…It’s works 100%. Every single time. In case you are still feeling NOT OK…press again. Previous Post Are we misusing the internet? Next Post Give a little, love a lot.